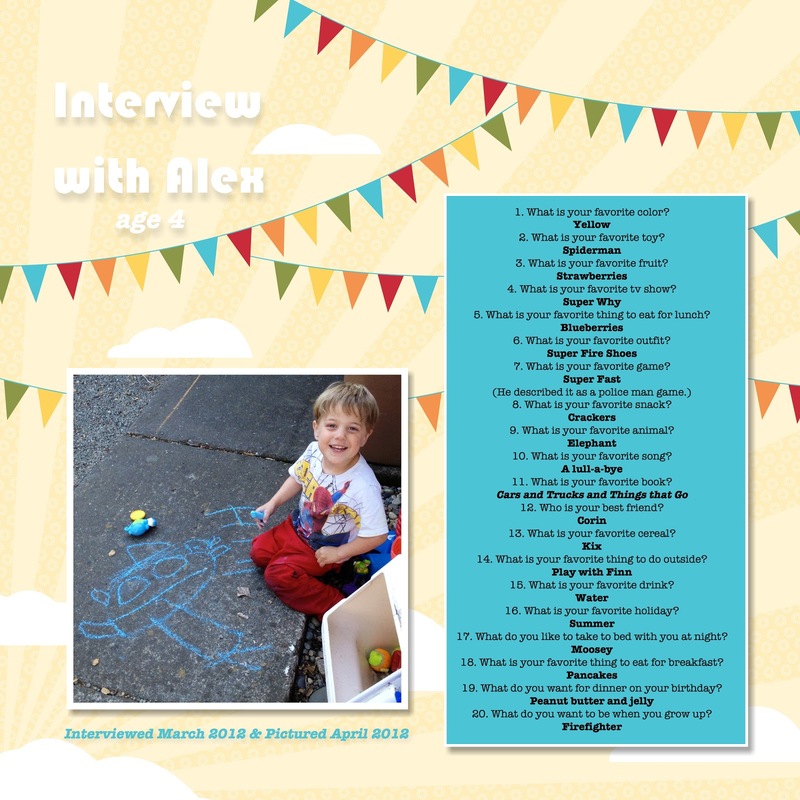 I made a quick digital scrapbook page with his interview and a recent picture. This will be so great to look back on! Cute page - you gotta love the insight into little minds.